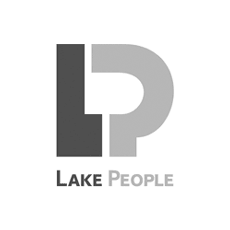 The REFERENCE SERIES from Lake People covers absolutely high-level audio products with outstanding features, best technical data and perfect craftsmanship. Lowest Noise because of low internal gain. Therefore the self generated noise from the amplifier is not audible. Highest output voltage swing through 60 Volt internal operating voltage. Therefore best suited for high impedance headphones. Over 90 % of all headphone amplifiers in the market offer not half that voltage !! Highest output power because of powerful amplifiers able to deliver much more current a headphone needs. Therefore best suited for low impedance headphones and even magnetostatic cans !! Highest damping factor through lowest output impedance. Therefore best suited for full control even over critical headphones with the garantee to have flatest possible response. But there is even more !! Pre-Gain means a 5-times adaptive gain setting on the back panel to customize your amp to match perfectly your source and your headphones. You want to connect your source passively to following unit because you don´t want to switch on HPA RS 08 when you want to hear your speakers? No problem, set the internal jumper to “Passive Feedthrough”. You want to connect the next unit in an active way because you know that this is technically better? No problem, set the internal jumper to “active feedthrough”. You judge the abilities of HPA RS 08 so high that you want it to control your power amp or active speakers? No problem, set the internal jumper to “active feedthrough with volume control”. Related links to "Lake People 2-ch Highest Quality Headphone Amplifier HPA RS 08 with BALANCED headphone output"
Customer evaluation for "Lake People 2-ch Highest Quality Headphone Amplifier HPA RS 08 with BALANCED headphone output"
Unison Simply Italy Röhrenvollverstärker - Makelloser Rückläufer!